Regardless of one’s interests, it’s a safe bet there’s an app (or hundred) out there that related to it, and this is equally true for lotteries and the various subtopics that lotteries branch out into. However, figuring out which the best lottery apps are and which ones aren’t even worth installing can be a daunting task. Fortunately, we’ve already done this work so that you don’t have to. In the following guide to choosing lottery apps, we’ll point out the main aspects that we consider—and that you should consider too—while writing our reviews and ultimately give our verdict on the overall quality of each app and whether we think it’s a hit or a miss. Most lottery apps have a narrow scope in terms of their central purpose and therefore have just one or several main functions. Ultimately, the purpose of the app explains why the app exists in the first place. Is it to help users look up the latest US Powerball, Mega Millions, or EuroMillions lottery results? Or will it help you buy lottery tickets online? Perhaps it will randomly generate numbers for you? Some lottery apps do just one of these things, while others are like Swiss army knives that do (or at least attempt to do) just about everything. Personally, we prefer to have fewer apps installed on our phones, so we tend to veer towards the ones that intuitively combine various features. But if you don’t mind having one app for each function, there’s nothing wrong with that. If you’ve ever downloaded any other apps for your phone—who hasn’t?—you’ll already know that some apps are completely free, while others you have to pay for. This holds true for lottery apps as well, and a common tactic employed by developers is to include ads in the free version of an app but give people the option to pay a few dollars for the full or “pro” ad-free version. Other lottery apps might have certain features that are locked until you pay. Whatever the limitations or annoyances of the free versions, you should always try them out anyway to see if you can live with them. For example, most ads aren’t too intrusive (more on this later), and since there are so many apps out there, paying for the full versions is rarely necessary. Although we download, install, and thoroughly test every single app that we review, we also consider what other users have said about them. Doing so helps us to see what factors people were most satisfied about and which ones annoyed them the most. This is especially useful for seeing whether the app developer actually considers the feedback its customers provide and addresses whatever issues exist in software updates. If it does, both the app and the user ratings should get better and better over time. When we are testing a lottery app, the overall level of quality and professionalism that it exudes speaks volumes about it. Some apps look and feel like they were thrown together in a few hours, while others clearly demonstrate that the developers put a lot of painstaking effort into the app’s design, graphics, layout, functions, and overall user experience. Of course, while a slick design and smooth animations are great, they are basically the equivalent of a pig in lipstick if the functions of the app don’t really do what they’re supposed to do. In contrast, if an app doesn’t look that great, especially when the design and programming were done by just a single individual, but it does what it’s meant to do well (like generate truly random numbers), then ultimately that’s more important. That being said, the best lottery apps offer the best of both worlds: clean and intuitive designs and fantastic features that always work without a hitch. Any good app should be easy to grasp and use right from the get go. While it’s understandable that certain advanced features might require taking a quick peek at the user manual (if one is available), well-designed apps will just naturally feel intuitive. If we’re scratching our heads wondering how to get from screen A to screen B, then that will definitely affect how we perceive, and ultimately rank, the app. While most people would agree that ads are generally pretty annoying, it is almost a given that most free apps will have them. This is because most developers will want to make at least some money from all the time and effort they put into making the app. That being said, some ads are much more annoying than others. Some ads are small and unobtrusive and politely sit at the bottom of the screen and never get in the way of anything, while others obnoxiously take over the entire screen and can’t be closed until a certain amount of time has passed. If these latter kinds of ads keep popping up regularly, it’s a pretty safe bet that they’ll quickly make us impatient and angry, which will drastically affect the overall score that we assign to the app in the end. Seeing how many times an app has been downloaded can say quite a lot about how good the app is. While it’s obvious that a new app will have fewer downloads than one that was released five years ago, the total number of downloads is still a factor worth considering. Moreover, if many people are regularly downloading the app—rather than just when it was first released—then that often means it’s popular for a reason. On the other hand, if a bunch of people downloaded the app when it was first released two years ago but now almost nobody downloads it, then that probably means something too. Since both the Apple App Store and Google Play Store offer quite a few lottery apps to choose from, one way we can sometimes weed out the good ones from the bad ones is by looking at who the developer is and what their reputation is. Have they made other apps that have good ratings? If so, this is a good indicator that they strive for quality in their products. In contrast, if every app the developer has made is hated on by the general public, there’s usually a good reason for it. That being said, just because the developer doesn’t have any other apps doesn’t necessarily mean that the one they do have is no good. After all, the developer might be a newcomer or an independent developer who just wanted to make this one particularly useful app and leave it at that. Therefore, the importance of this factor varies from app to app. Lottery result apps let users check the results of recent and historical lottery draws. This can be useful to check if you won but also to manually review the statistics of past draws to see if your lucky numbers would have ever won you any amazing prizes. Many of these types of apps will update automatically as soon as the official results are released, so they can be a one-stop shop for checking many lotteries’ results all in one app. 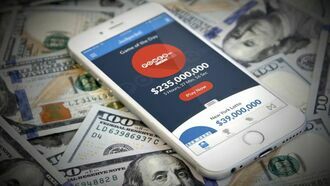 Some lotto results apps are limited to specific lotteries and regions, while others are more open-ended and provide a snapshot of the global lottery scene. Some apps also let users input the exact numbers they played for a specific lottery and automatically notify them if they’ve won a prize. This is much better than manually trying to compare numbers—and possibly making a mistake that causes you to miss out on an incredible windfall. Lottery ticket scanner apps do exactly what the name suggests they will do: they allow lotto players to scan their lottery tickets (but also scratch cards and lottery ticket barcodes) so that they have a digital copy of them (not that that would be enough for anyone to officially claim a prize with). More importantly, however, ticket scanning apps will read your numbers directly off your lottery ticket so, if the app also offers a lotto results feature, you won’t need to manually type in your numbers. It’s basically like having one of those results-checking devices common at lottery kiosks and retailers right in your pocket! 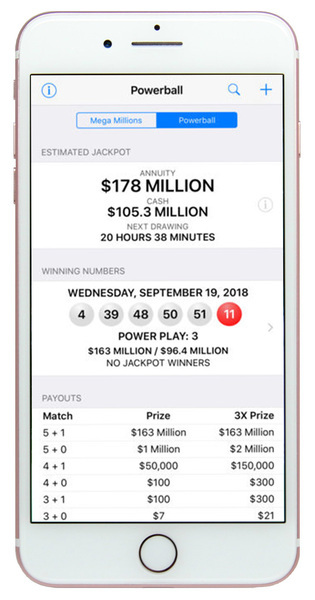 These types of lotto apps are official apps that are released by official lottery operators, and they make it easier for players to check upcoming and past jackpots and winning numbers, and some even let people buy tickets directly through the app. 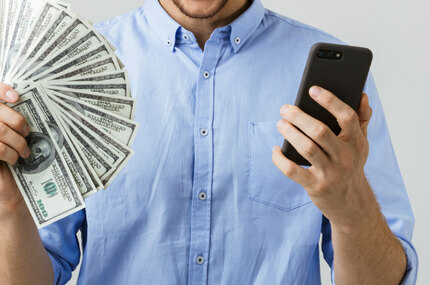 Some official apps are specific to just a single lottery, while others will encompass all of the lotteries under the operator’s control, thus giving them much more flexibility and usefulness. 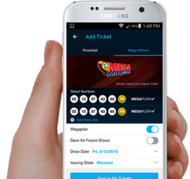 Lottery ticket agent apps (also known as lottery messenger or lottery concierge apps) are made by the companies behind some of the best online lottery sites, and as such they allow users to easily purchase official tickets to the world’s best lotteries using their smart device. Once you submit your order via the app, an employee will go out and purchase a physical ticket on your behalf, and you will be able to access a scanned copy of it within your user account. The best of these apps are extremely optimized mobile versions of the websites that gives users a more enjoyable and streamlined overall experience with smoother animations than they’d typically find in a web browser. Generally speaking, lottery ticket agent apps are the easiest and most convenient way to play lotteries while on the go. 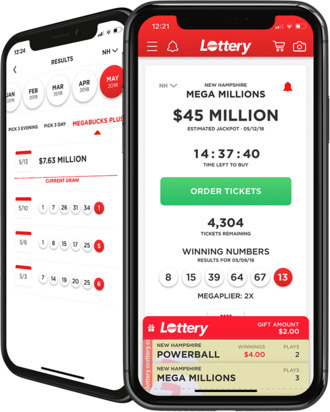 Closely related to lottery agents (and sometimes overlapping as is the case with hybrid sites) are lottery betting sites, which allow players to buy physical lotto tickets, and lottery betting apps are the optimized mobile versions of lottery betting sites. This kind of service allows players to bet on the outcomes of upcoming lottery draws for a chance to win the exact same jackpots and other prizes offered by the official lottery. Smaller prizes are paid out from betting companies’ earnings, while jackpot amounts are paid out via an insurer. You might be wondering why anyone would want to bet on a lottery when they can officially play the real thing, but there are actually several benefits to doing so. For starters, these services are completely unaffiliated with the official lotteries and lottery operators, so they aren’t limited by the same terms and conditions and especially geographic restrictions that some international lotteries impose on players. In addition, since they aren’t buying official tickets on behalf of players, they can offer all sorts of enticing promos and discounts (such as when buying in bulk) that wouldn’t be possible otherwise. Finally, betting sites operate similarly to casinos, meaning they likewise have to be licensed and adhere to strict gaming regulations. You know that thrill you get of scratching off a scratch card with a coin, uncovering several matching symbols, and finding out you won a prize? Well, you can have that exact same experience (minus the coin) on your smartphone or mobile device by playing digital scratch cards. Some apps let you play for real money, while others are just fun games meant to while away the time. As the best of these apps feature fantastic graphics, animation, SFX, and music, they can be even funner (and cleaner) than traditional paper-based scratch cards. Though navigating the dozens and dozens of lottery apps might seem a bit overwhelming at first, it’s really not that bad once you know a) what type of app you need and b) what to look for in the app to determine if it’s solid enough to actually download and try. While we try to be as objective as possible in our lottery app reviews, our favourite apps stood out from the competition by bringing something truly special to the mix. As a result, we are confident you’ll like them just as much as we do. So, feel free to peruse our reviews, download the apps that appeal to you most, and always remember that playing the lotto should first and foremost be about having fun. Good luck!